The REF1000M drives loudspeakers with incredible energy and detail, featuring 120dB dynamic range, delivering 500 watts into 8 ohms, doubling to 1000 watts into 4 ohms and able to drive a 2 ohm load. The custom input stage conditions the input signal to the amplifier for lower noise and distortion for rock solid imaging. The REF500M drives your loudspeakers with an unprecedented level of sonic accuracy and power. The REF500M delivers 121dB dynamic range and 250 watts into 8 ohms, doubling to 500 watts into 4 ohms. The combination of fullyregulated switch-mode power supplies and analog control circuitry brings incredible dynamic expression to your music. 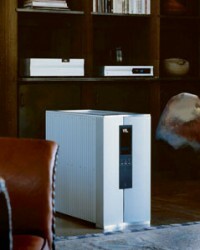 The REF500S provides high power in a compact stereo chassis. It delivers 121dB dynamic range and 200 watts into 8 ohms, doubling to 400 watts into 4 ohms. The combination of fully-regulated switch-mode power supplies and analog control circuitry brings great dynamic expression to your music. The Model 925 represents the ultimate benchmark of dynamic realism and expressive refinement. A quarter century of engineering passion expressed in the synergy of advanced technologies and timeless design. A stunning achievement inspired by the musicality of an enduring classic: the Rowland Model 9. The Model 825 represents the ultimate benchmark of dynamic realism and expressive refinement. A quarter century of engineering passion expressed in the synergy of advanced technologies and timeless design. A stunning achievement inspired by the musicality of an enduring classic: the Rowland Model 8. Precision machined from two single blocks of non-resonant aircraft aluminum, the Model 725 features a unique composite circuit architecture incorporating separate Class AB voltage and current gain blocks with no overall negative feedback. The Model 725 features mil-spec ceramic circuit boards, high current copper bus bars, a power supply incorporating 4-pole capacitors and power factor correction, combined to deliver a life-like grain-free musicality of breathtaking transparency. 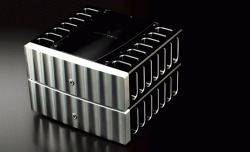 Precision machined from a single block of non-resonant aircraft-grade aluminum, the Model 625 features a unique composite circuit architecture incorporating separate Class AB voltage and current gain blocks with no overall negative feedback and virtually free of internal and external EMI field contamination and mechanical vibration. The Model 625 delivers a sensuous grain-free musicality of unparalleled transparency and low level resolution that blossoms from a rich velvety silence and blossoms into the pure enjoyment of your listening experience. Ampli Mark Levinson No536 là một thiết kế có nguồn gốc từ truyền thống và tính nghệ thuật của những ampli Mark Levinson cổ điển. No 536 hướng tới một chất âm cụ thể: không gian âm thanh rộng, sâu, âm hình rõ rệt, dải bass siêu trầm với các nốt rung chính xác và dải cao chi tiết không bị chói gắt. 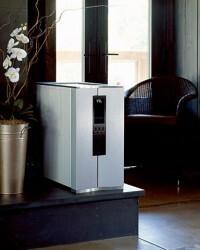 Ampli Mark Levinson No536 là niềm cảm hứng và nền tảng cho tương lai. The Mark Levinson® № 534 dual-monaural amplifier features Pure Path circuit design for a high-current, low-feedback amplifier that delivers 250 watts per channel and operates in pure class A for most listening conditions, doubles down into 4 ohms, and remains stable into 2-ohm loads. Với thiết kế monoblock, ampli No531H của Mark Levinson thực sự là một sản phẩm ấn tượng, xét trên cả góc độ thiết kế và khả năng trình diễn âm thanh hi-end. 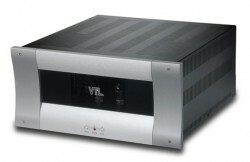 Mark Levinson vừa cho ra đời dòng ampli công suất thế hệ mới - series No500H. Trong đó, No532H là ampli công suất dành riêng cho âm thanh 2 kênh. Sản phẩm mới này đã được dân audiophile chuyên nghiệp đánh giá rất cao. 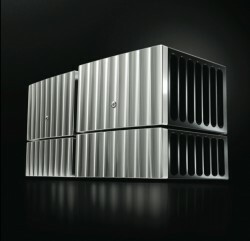 After seventeen successful years at the top of Naim is amplifier range, the NAP 135 was eclipsed by the flagship NAP 500. Our design brief for the NAP 500 required an amplifier that could drive any load down to 2 Ohms for prolonged periods, deliver over 100W into 8 Ohms and sound - at the very least - as good as our reference at the time, the NAP 135. Needless to say, every aspect of the NAP 500 is sound quality is truly exceptional. 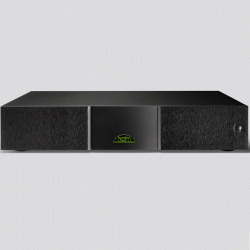 Many years of research went into the NAP 500, as fundamentally new components and technologies had to be perfected before Naim could raise the performance level for power amplifiers. Many of these technical developments, along with the elegant new styling have been applied to the mighty NAP 300. 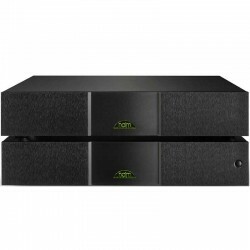 The latest Naim NAP 250 delivers speed, power and agility providing exceptional detail and musicality in a package built to swing for another 30 years. For over 30 years the NAP 250 has been at the heart of thousands of high-quality audio systems around the world. During the years of research that went into the NAP 500, many technical developments came about that could be successfully applied to the NAP 250. Many of these, along with the elegant new styling have been incorporated, resulting in a new Classic line-up. During the years of research that went into the NAP 500 amplifier, many technical developments were made that could be successfully applied to the existing products. Many of these developments, along with the elegant new styling have been incorporated, resulting in the Classic line-up, including that of the NAP 200. The NAP 155 XS is the perfect companion to the NAC 152 XS preamplifier in an XS system. 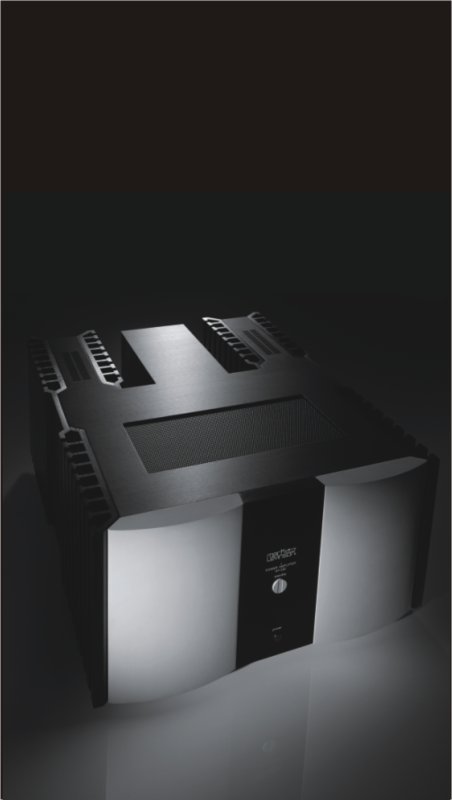 It features a very large mains transformer - both physically and in terms of its power rating - and at the heart of its power supply uses the same reservoir capacitors as the award-winning SUPERNAIT integrated amplifier. 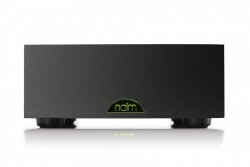 The NAP 100 is a classic expression of traditional Naim power amplifier engineering. Offering 50 watts per channel at 8 Ohms, and 75 watts at 4 Ohms, the NAP 100 is a dual mono design based on the circuit topology found in our SuperUniti reference all-in-one player. While its dimensions are conveniently compact – just 20cm wide – its performance is seriously dynamic and expansive. 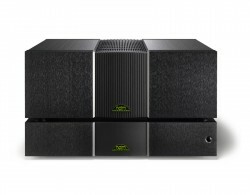 Combine the NAP 100 with its partner the DAC-V1, and either a computer or UnitiServe for example, to create a thoroughly modern system, bursting with Naim rhythm and clarity. Thanks to huge precision-regulated power supplies, VTL’s Siegfried amplifier handles the most demanding loads with ease, ensuring consistency of performance under any conditions. 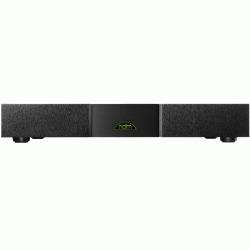 A brawny 800 watts of power results in impressive dynamic headroom and tight, deep, resounding bass. A simple audio circuit and audiophile-quality components give a bold, vivid freshness to music. The newest addition to our Reference line, the S-400 Reference Stereo Amplifier adapts the outstanding technical achievement of Siegfried to a single-chassis stereo design. At 400 watts per channel, the S-400 packs plenty of power for the most demanding musical passages while retaining a remarkable ability to resolve the finest details. 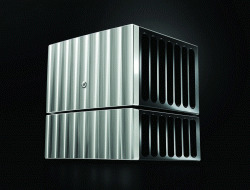 With the same precision-regulated power supply and highest quality components as the monoblocks, users can expect a fast, articulate and unusually vivid sound that comes very near to that of Siegfried. 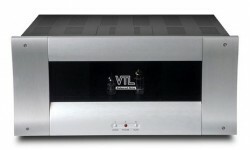 Music lovers have long admired the VTL MB-450 Signature monoblock amplifier for outstanding performance at a fair value. The new Series III version of the long-standing MB-450 platform features a complete re-working of the entire signal path. Upgrades include a fully balanced differential input stage driving a differential phase splitter and a lower impedance push-pull output stage with a dramatically improved, fully balanced and enhanced interleaved and coupled output transformer. VTL\'s innovative engineering brings the legendary sonic performance of the venerable 450 Signature platform to even greater heights. 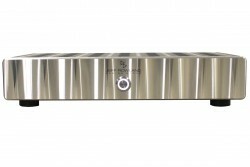 The MB-185 Series II Signature monoblock delivers superior performance at an affordable price. It offers the same technological improvements and cosmetic refurbishment as its bigger brother, the MB 450 Series II, although in this case using six 6550C tubes and a more compact output transformer to make 220 watts per channel. The extensive updates to the Series II amplifier include a revised power supply, SmartTube technology with automatic bias adjustment and fault sensing, and upgraded electronic components. 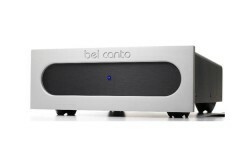 The result is an amplifier with improved dynamics as well as superior speed and transparency at the top end.